One of the best parts about working at MovingWorlds is following-up with our previous Experteers to see how their international experience impacted their lives. I had the chance to ask Drew Miller, one of our Experteers from 2012, some questions to see how Experteering impacted his career. In summary, Drew credits Experteering with helping him earn a job at one of NYC’s most reputable architectural companies where he got to work on cutting-edge projects. It also inspired his involvement with Architecture for Humanity in NYC, for which he is the Director of Operations. 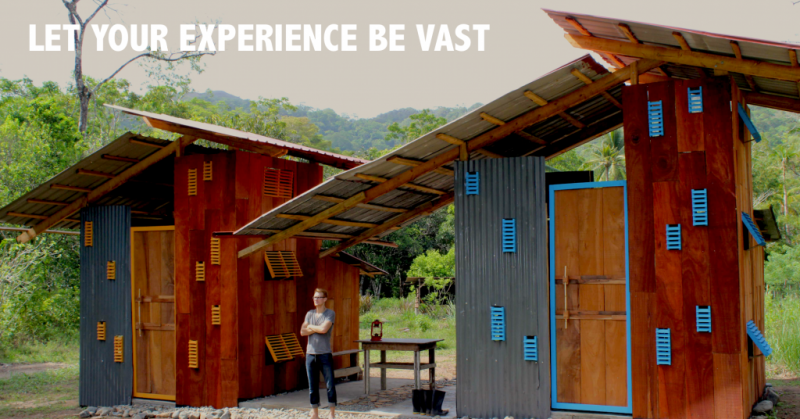 Watch this video to learn more about the work Drew did in Panama with EcoFarms, how it impacted his life, and his words of wisdom for anybody else looking to volunteer their skills around the world. For more stories like Drew’s, you can read about previous Experteers here. And if you’re interested in finding your own international experiences, check out these opportunities from around the world for people with professional skills.